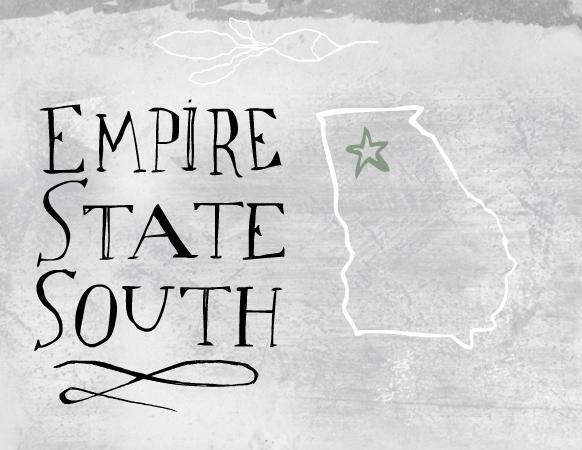 Empire State South has been on our cocktail radar for a while now. We’ve made it by once or twice for a quick drink, but have yet to venture a full-blown exploration of their cocktail menu. After two early evening events Wednesday, we spontaneously took a walk down to Peachtree and 10th and settled in at the ESS bar for a quick tasting. And so glad we did! Bar manager Kellie Thorn was on hand to discuss several of the drinks on the menu, new ingredients, and her passion for mixing. 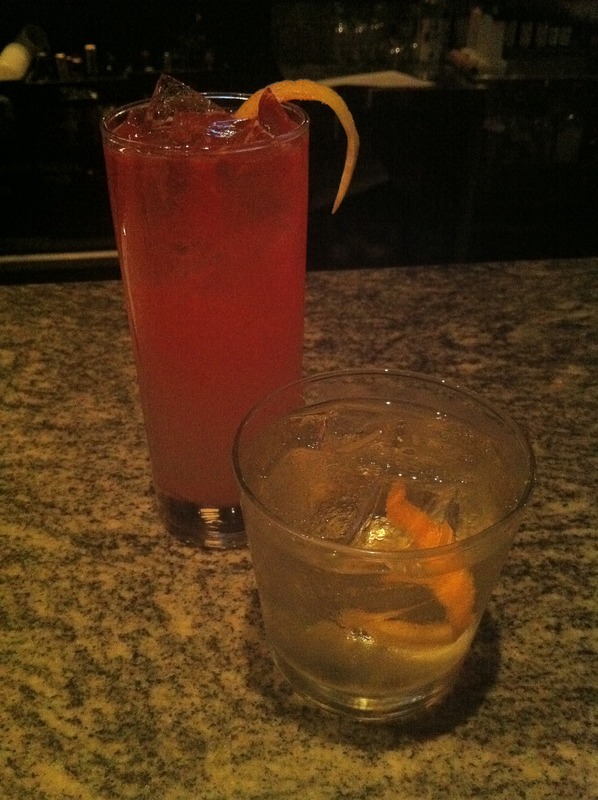 When we asked to go off menu for a few surprises, she let us sample two new drinks that will go on the menu next week. You guys are all in for a treat! These new cocktails do not disappoint! The menu changes out seasonally and has features some exciting combinations and unique creations. The Delores is a blend of Blume Marillen Apricot Eau de Vie, black pepper, elderflower, lemon juice, and a splash of soda. 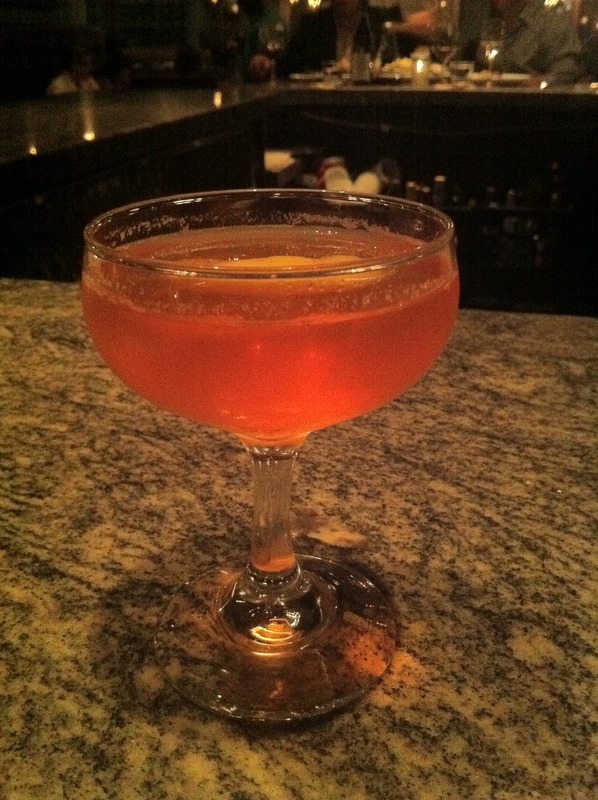 The appearance is a slow gradient of red to pale golden in a Collins glass. The aroma is soft and full of apricot and light florals. The flavor profile is a bit more complex than you would imagine, with the initial apricot moving to floral and citrus tones. It is incredibly balanced and a wonderful way to start an evening. I enjoyed The Martagon, a combination of Ethereal Gin, Cocchi Americano, a touch of Fernet Branca and dash of orange bitters. Just shy of clear in appearance, the nose is very floral as is the back end of the flavor. We sampled the Ethereal Gin on its own and loved the floral notes it provided. I’ve never had this particular gin and will definitely be adding it to the inventory at home. There is the slightest of bitter tones to the cocktails, making me very happy. We’ve also experienced The Grant Park and had a difficult time putting it down. What is not to love about this drink? Old Overholt Rye, Cocchi Americano, Carpano Antica Formula, Aperol and orange bitters. Most of our favorites in one drink. Put this on your list to order as well! Nicky was forced to suffer a Personality Crisis. No real suffering here. It was amazing. The Personality Crisis is made up of Cocchi Americano Appertivo, Aperol, Bluecoat Gin, Jamaican Rooibos tea syrup, lemon peel tincture, and Elemakule Tiki Bitters. What a combination! The Aperol adds much to the presentation and hue, but does not overpower in taste. The exotic spices of the tiki bitters pair well with the fruit tones of the Jamaican Rooibos tea syrup. The other new cocktail appearing next week is Smitty’s Sour. Being the bourbon lovers we are, this was a must try. Pretty simple, but oh so wonderful and complex in flavor. 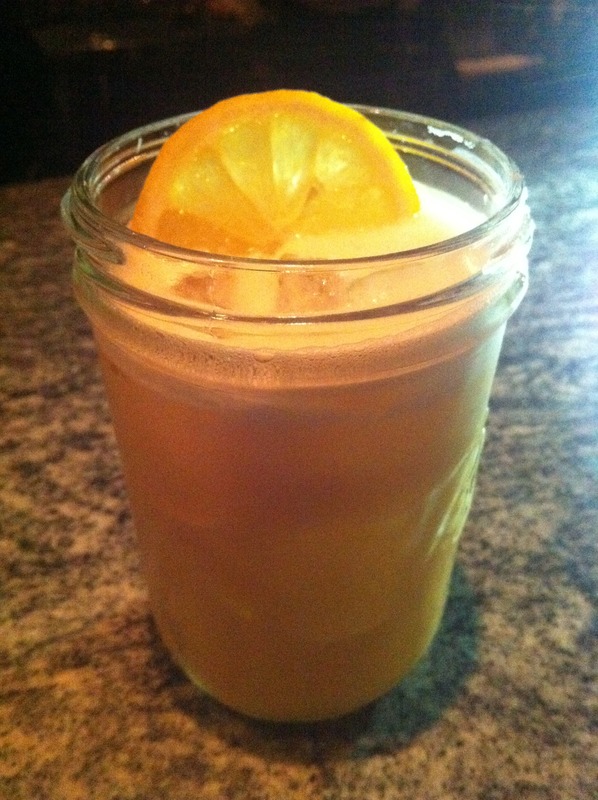 Elijah Craig 12 is partnered with a house-made maple-allspice-bourbon syrup, lemon juice, and an egg white. What I loved is that it is a generous pour served in a mason jar over ice. The delivery of this drink and the maple-allspice-bourbon syrup set this apart from other bourbon sours we’ve had. Even though our focus is all things cocktails, we would be remiss to not mention that, yeah, the food is pretty amazing as well. Chef/Partner Hugh Acheson and Executive Chef Ryan Smith present a fabulous menu of fresh foods and creative concepts. We have enjoyed the house charcuterie with the tantalizing array of mustards, pickles and delicious cheeses. We fully intend to get back over to Empire State South sooner than later and work through more of this intriguing menu – cocktails and food. There are some amazing things taking place across the board at ESS, so make sure you stop by soon and give them a try. The new cocktail menu is expected out next week!